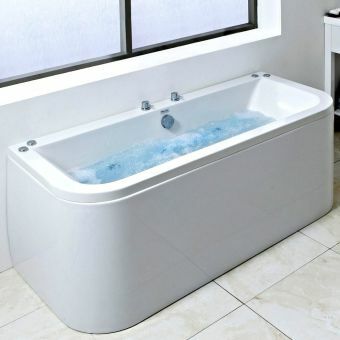 Photo shows Phoenix Rectangularo bath with System 3 Whirlpool/Airpool option. 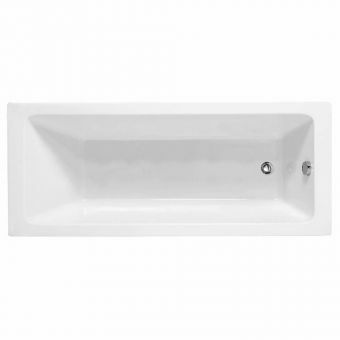 Specifications for Phoenix Rectangularo Acrylic Double Ended Bath. Size: 1700(l) X 700(w) X 430(d)mm - capacity 175 litres. Amanzonite reinforced option - the ultimate in strength, rigidity, heat retention and anti-chip technology. Extras include an inline heater and sensational colour underwater lighting. 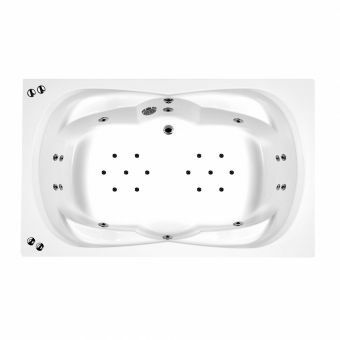 System 3 Whirlpool/Airpool features: A combination of all the above. 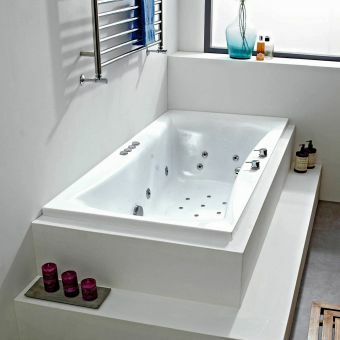 An alternative range of bath front and end panels are available from the Bath Panel section. 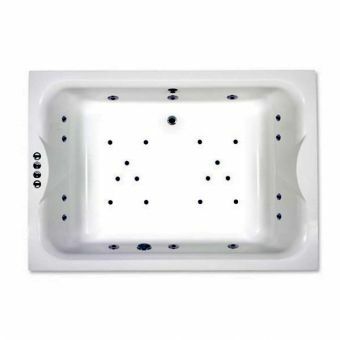 All Phoenix baths have a manufacturers 25 year warranty. 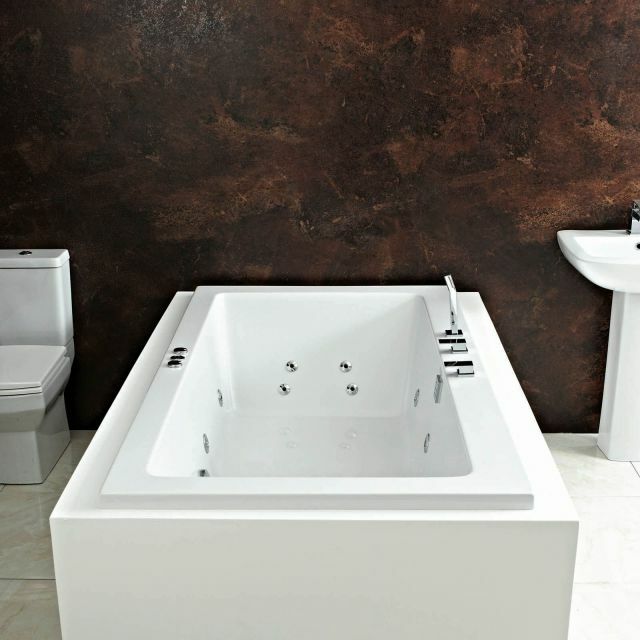 Capturing the essence of Phoenix style, these luxury rectangular baths have been crafted to the highest possible standards. The result is one of the most exclusive and individual ranges available benefitting from careful design and long lasting reliability. 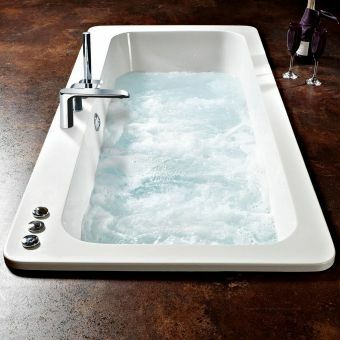 Phoenix Whirlpools represent the ultimate experience in bathing technology. 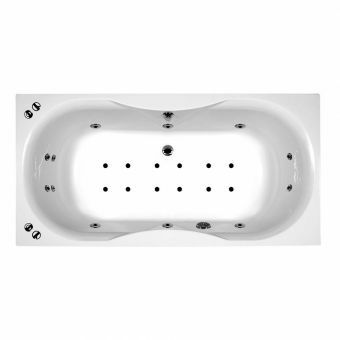 Hydrotherapy has long been recognised with having substantial health benefits leading to an improved quality of life.